Information about See for Miles Ltd. – counselling & training services in Wiltshire. See For Miles Ltd is a counselling & psychotherapy practice run by Geoff Miles and Helen Payne-Kumar. We practice from peaceful, tranquil and welcoming therapy rooms which have been created to offer a calm, peaceful, safe haven for our clients. 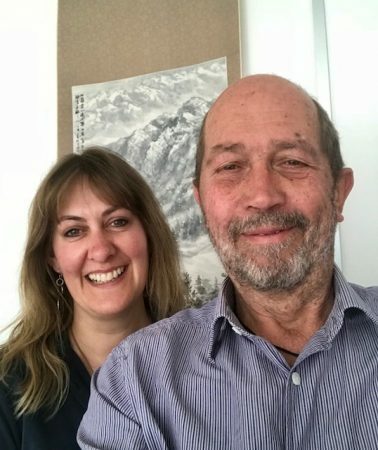 Geoff and Helen specialise in counselling and psychotherapy to adults, children and young people, couples and families. Both are fully trained, qualified and insured to practice and hold enhanced DBS checks. Both are Registered members of the BACP British Association of Counselling & Psychotherapy which is the governing body for this profession ensuring you of a high professional standard and ethical practice. Our offices are conveniently based in the beautiful Pewsey Vale with no hassle, easy access by road, rail or bus and with ample FREE parking on site. 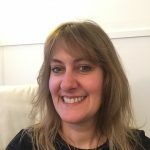 Helen is a professionally trained and qualified Integrative Counsellor working with adults, children, young people and families. Helen is a Registered Member of the British Association of Counsellors and Psychotherapists and is bound by their Professional Code of Ethics and professional practice. She is enhanced DBS checked and sees clients at her SFM offices based in Pewsey, Wiltshire. Helen’s integrative framework to working with her clients allows for a sensitive, gentle approach tailored to each client and their individual needs. Offering an environment which allows the client to truly be themselves, in a non judgmental, safe haven whereby they feel held and accepted. Therefore, allowing them to start their journey into counselling and the self discovery which accompanies it “one step at a time” and at a manageable pace. With a background in Business Studies, the main focus of her career has been in business development. Helen has worked in a diverse mix of sectors internationally and in the UK, ranging from multinationals to Small & Medium Enterprises. With this background she is well suited to understand the diverse needs through these times. This experience is also applied, to write and develop training courses and publications for SFM and the private and public sectors and for practitioners wanting to develop their skills further, to a standard of excellence expected in the Counselling and Psychotherapy professions. Geoff is a professionally trained and qualified Integrative Psychotherapist working with adults, children, young people and families. He is a Registered Member of the British Association of Counsellors and Psychotherapists and is bound by their Professional Code of Ethics and professional practice. He is enhanced DBS checked and sees clients at his SFM offices based in Pewsey, Wiltshire. Having had six years of experience working with children, he broadened his area of expertise by working with offenders of all ages, and families going through acrimonious divorce. By 1990, Geoff had accumulated a store of knowledge about human behaviour, personality and the psyche, through his studies and experientially. Working with dysfunctional families, disadvantaged, disaffected and abused children, and offenders of all types. 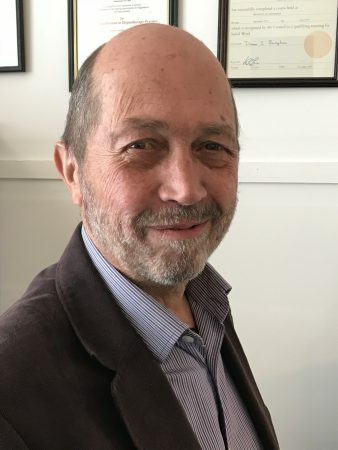 In 1991 worked as a Counsellor alongside his full-time job as a Social Worker and joined the Child Protection Investigation Team, investigating charges of child abuse and interviewing the victims and the perpetrators. Involved in studies in Child Protection at Leicester University. Since this time, Geoff has spent many years working with children who face difficulties in their lives. These include, Looked After Children (children in care), the Youth Offending Team (YOT), Hospital Schools, Adoption Services and Social Services’ Children & Families Team. He studied as a Psychotherapist covered such areas as Humanistic, Existential, Psychoanalytic, Behavioral, Cognitive, Eclectic and Integrative Theory and Procedure. This reflected his earlier work, especially in crisis intervention, where a quick response was needed and a comprehensive “tool kit” of skills enabled him to easily meet his clients’ needs. 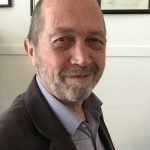 To support his Psychotherapy training Geoff went on to complete Qualifications in Hypnotherapy and Regression and developed and facilitated workshops and lectures at Bath University, Wiltshire Colleges, the BACP and into the Corporate Market. In 1996, Geoff set up in Private Practice. In 2009 See For Miles Ltd was formed in partnership with Helen Payne-Kumar. Offering a professional counselling, psychotherapy service which encapsulates counselling and therapy for individuals, couples, and families, and professional training for practitioners, supervision and staff support.